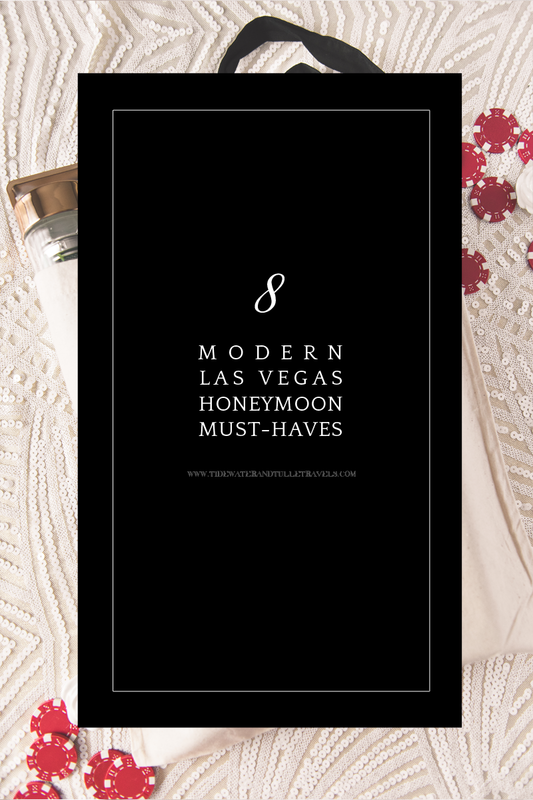 Practicality and modern glam come together in these must-haves for your honeymoon to the Glitter Gulch. 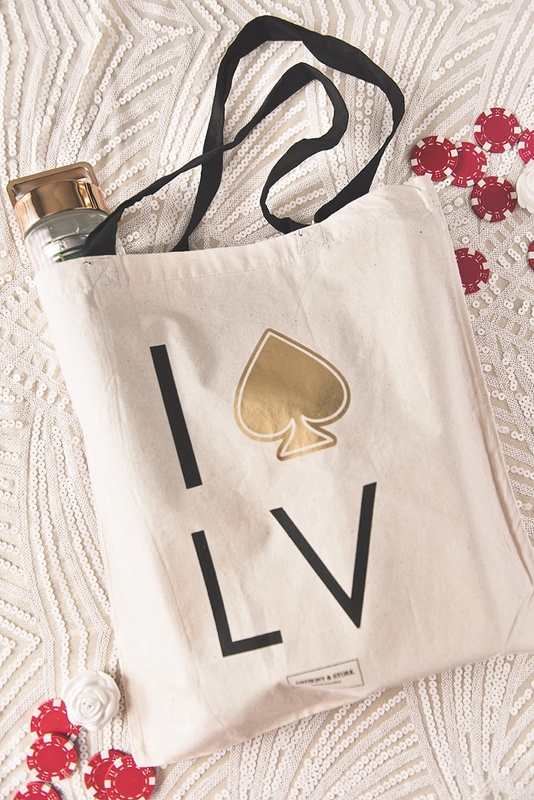 nspired by modern glam style and Vegas practicality, we took a gamble and curated our favorites for those couples who love the night life and the glitzy appeal that only Las Vegas has to offer for honeymooners. From detox-encouraging water bottles to feet-saving foldable flats, "healthy and happy" is our abracadabra for this alluring Glitter Gulch-inspired collection of beauty, fashion, and tech must haves. Whether you love being dazzled by Cirque du Soleil or indulged by Wolfgang Puck's dishes, Vegas is the beacon of light in Nevada's Mojave Desert and beckons all seekers to experience a lively alternate reality like none other. 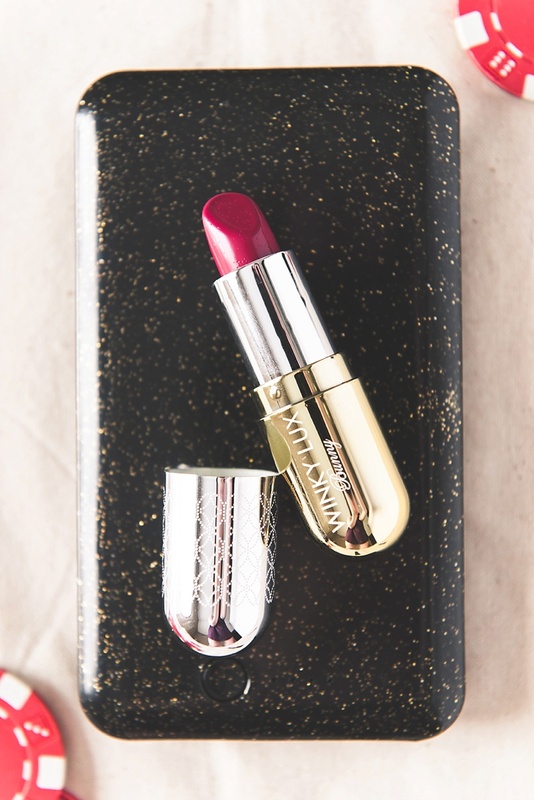 The blended shade of red and pink make this cranberry-hued number the perfect lipstick from Winky Lux to keep close to you! Shaped in an adorable pill-sized tube, it won't be easy for this little beauty must have to get lost in your bag. It's paraben- and cruelty-free, too, so you can feel good about big smiles while hitting the Strip hand-in-hand with your sweetie. For anyone who has been to Vegas before knows that the place pretty much is the Reigning Queen of Siphoning Energy, particularly at the MGM Grand. It's not uncommon to be at 2% by noon, and you probably didn't do anything to warrant it! Bye bye, battery in the city that never sleeps! 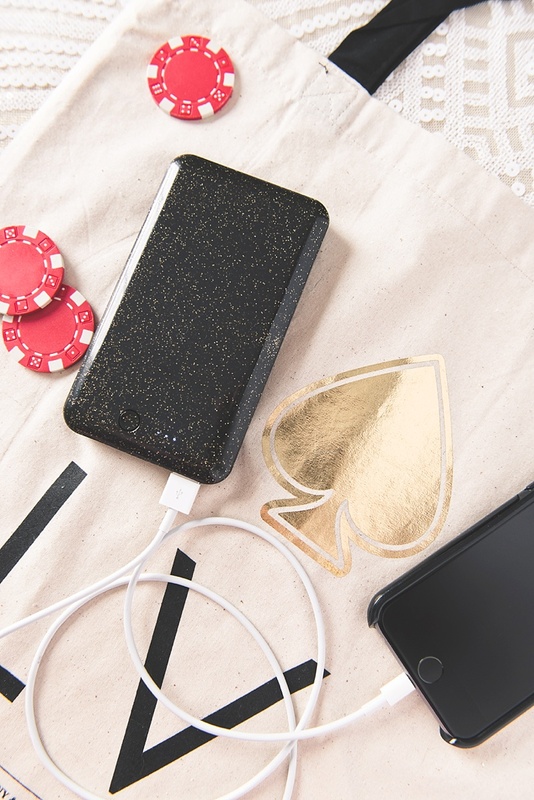 So having a portable charger is a must when in town, and this glittery black and gold one from ban.do is perfection! Unlike most other chargers, this one can be turned on and off manually, has the ability to charge both of your phones at the same time, and heck, already looks the part for a night out on the town. Because why not? 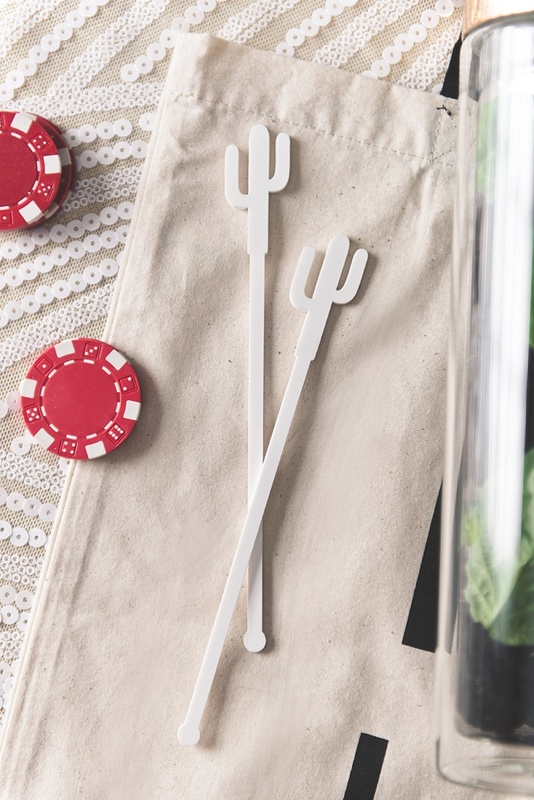 It's your honeymoon, so bring your own desert-inspired drink stirrers for your poolside beverage or to stir your fruit-infused water like these from Jenn and Jules Designs. The best part? They're acrylic and completely reusable. All you have to do is rinse and go. Don't feel like taking them back home with you? You can always recycle, too. 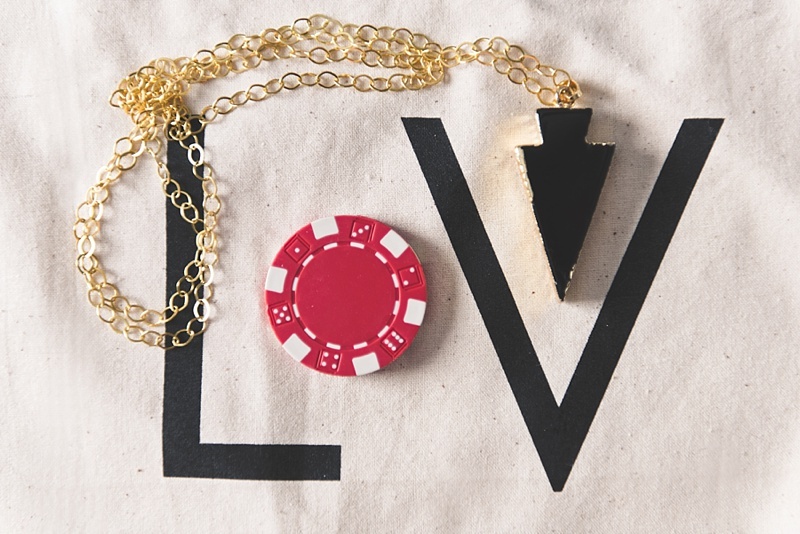 Reminiscent of an angular spade, this gold-edged beauty is neutral enough to go with any of your daytime Vegas outfits! Whether you're playing poker or shopping on the Strip, we love that this black agate necklace from Simply Stranded Design can take your wardrobe to southwestern chic anytime. While it's glam and glittery everywhere you go, remember you'll still be in the desert! It's dry all year round and very hot during the summer months, so water is an absolute must even when you don't think you need it. Because Vegas is deliciously indulgent with food and drink, fruit-infused water is going to be your best friend to help keep you feeling your best on your vacay since it's a natural flusher to toxins. 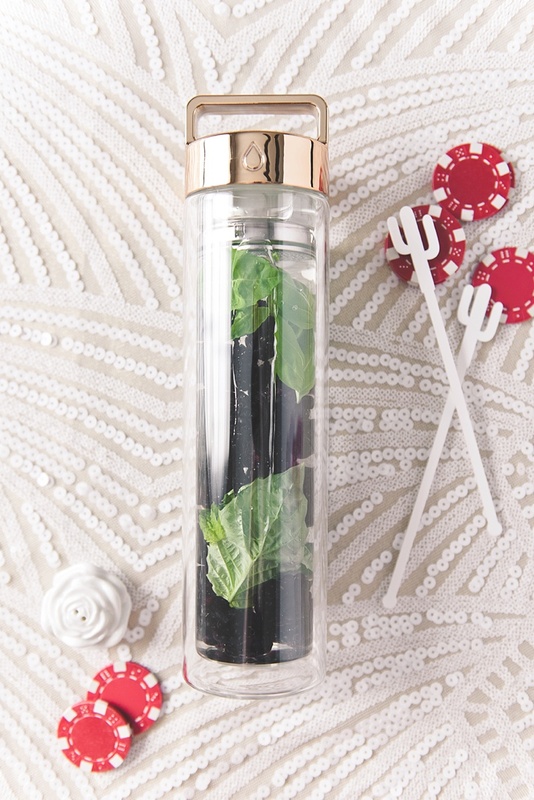 Stay healthy with our favorite water bottle from Drop Bottle that makes infusing easy! Fun Tip: You can have fresh fruit and herbs delivered right to your hotel by any of the local grocery stores (e.g., Vons, Jet.com, and Whole Foods by way of private delivery) so you can mix up your detox favorites in your room! Need a recipe? Pinterest is full of them, but our favorite (as pictured) is made up of Blackberries, Basil, and a few drops of Lemon Juice. 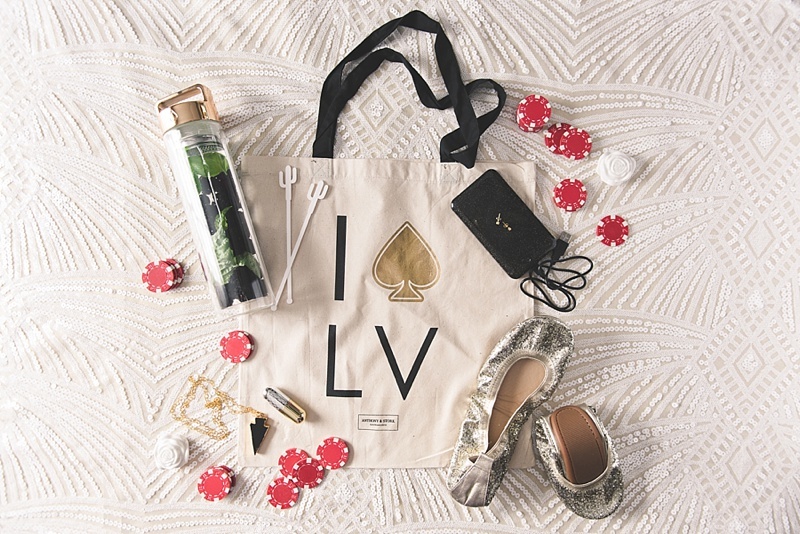 Since you're going to be adventuring all over Vegas, carry your fun finds along the way in style! This gorgeously chic cotton tote bag from Anthony and Stork is the perfect size to stash all of the goodies in this curated collection of ours and then some. (We especially recommend packing eye drops and cough drops for the smoky casinos and protein-packed snacks for times you're not resort-bound!) It's the quintessential memento and totally stylish to keep around long after the glitzy vacay. Okay, ladies, let's be real. There's only so long that you can wear those beautiful heels without screaming in internal agony. That casino may look close to your room, but in reality, it's practically an additional mile up an escalator and through a corridor around the corner. Vegas is a walking town, so be prepared and take care of those just married feet so you won't have to ask your partner to go to that 24-hour Walgreens in search of a DIY podiatrist! 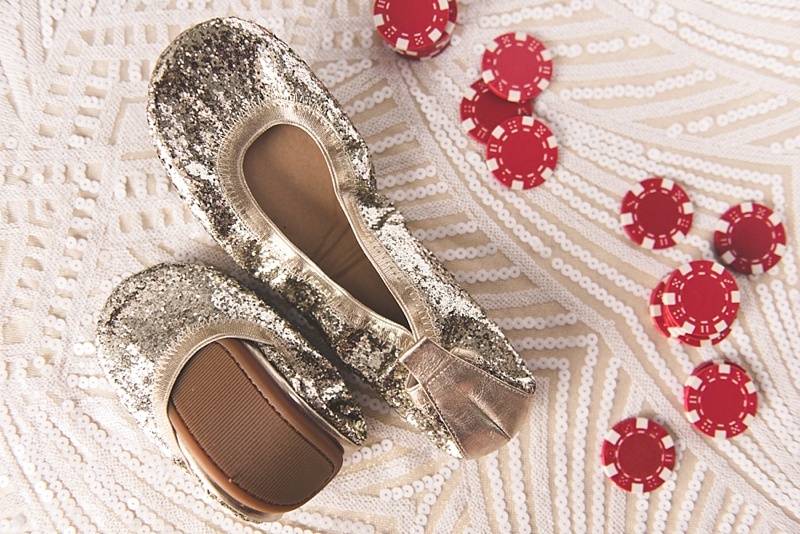 Comfy foldable flats like these from Boja will be your saving grace in times of need without sacrificing the sparkly vibes. Want to show how lucky in love you are but in style? These tiny lobe adornments from Silver Cartel are chic enough without being tourist cheesy. 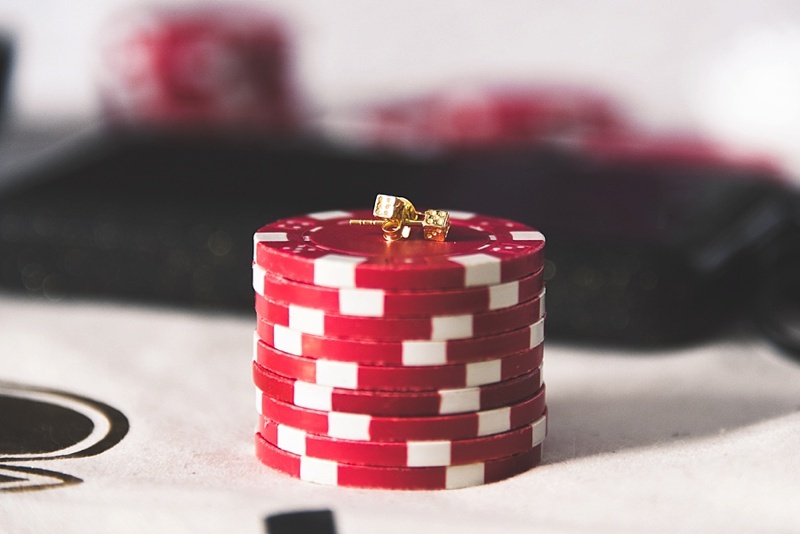 These dice are definitely ones you'll want to roll as you enjoy a gondola ride at the Venetian or watch the iconic fountains at the Bellagio. Photography & Styling: Chelsea LaVere • Items noted with an asterisk (*) means that they were sent as press samples to Tidewater and Tulle to experience and test out ourselves. We really loved them so that's why we're sharing them with you! Some of the above product links are affiliate-linked and purchasing through these links helps support Tidewater and Tulle and its wonderful partners! You can find our full affiliate disclosure policy here.